I have attached a pix of the Mini Reunion that we had here in Phoenix yesterday at Dillon’s BarBQ. We had 12 classmates in attendance (2 from class of 60) but we welcomed them. Ha! Had a great visit for a few hours and ate some great bar b q and maybe even had a couple of cold ones, 90’s here in Phoenix for all those in South Dakota. Ha! 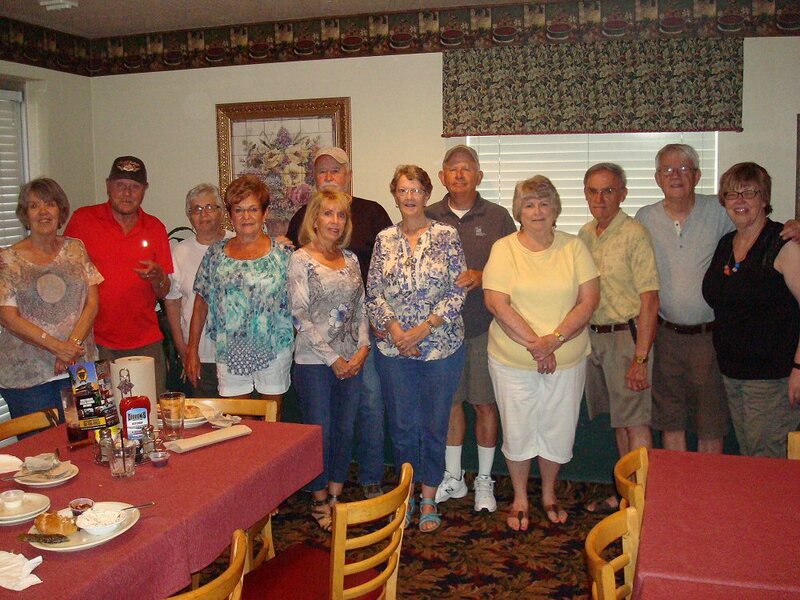 From left to right, Linda (Glover) Hamala, Bob Leonard (60), Karen (Marris Stewart, Merry Leonard (60), Susan (Millstead) Meador, Richard(Stu) Stewart, Janell (Mann) McKinstry, Earl McKinstry, Linda (Hansen) Weisser, LeRoy Weisser, Dave Behrens and Jane Behrens. Bigger and better next year, thanks to all for taking the time to catch up! Earl R. McKinstry, R.Ph., M.S.